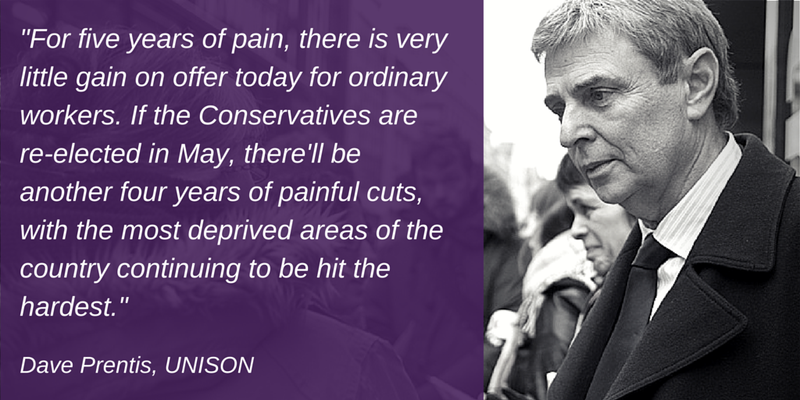 UNISON General Secretary Dave Prentis "tells it as it is". After five years of pain there has been very little gain. If the Tories are re-elected on Thursday, there will be more years of painful cuts, hitting the the poorest areas the most.